Throughout the month of January, the team at People’s Liberty hosted nearly 100 one-on-one conversations with interested Haile Fellowship applicants. By the end of the process, over 70 applications were submitted and reviewed by a panel comprised of six leaders from within the Greater Cincinnati community. The applicant pool was rich with diverse ideas and thoughtful proposals; after weeks of deliberation, we’re proud to announce the two winners of the 2017 Haile Fellowship: Tracy Brumfield and Tamia Stinson! Tracy Brumfield is a Cincinnati native with a background in communications, publishing, printing and marketing. But those are just the “resume” pieces of Tracy’s story. Tracy is also a recovering addict. Because of her addiction, Tracy has been through the incarceration system, experienced homelessness, and undergone unemployment. Now, a survivor on the other end of these experiences, Tracy works for a drug treatment facility and mentors individuals housed in the Hamilton County Justice Center. Tracy will spend her Fellowship year developing ways to reach those caught within the vicious system. 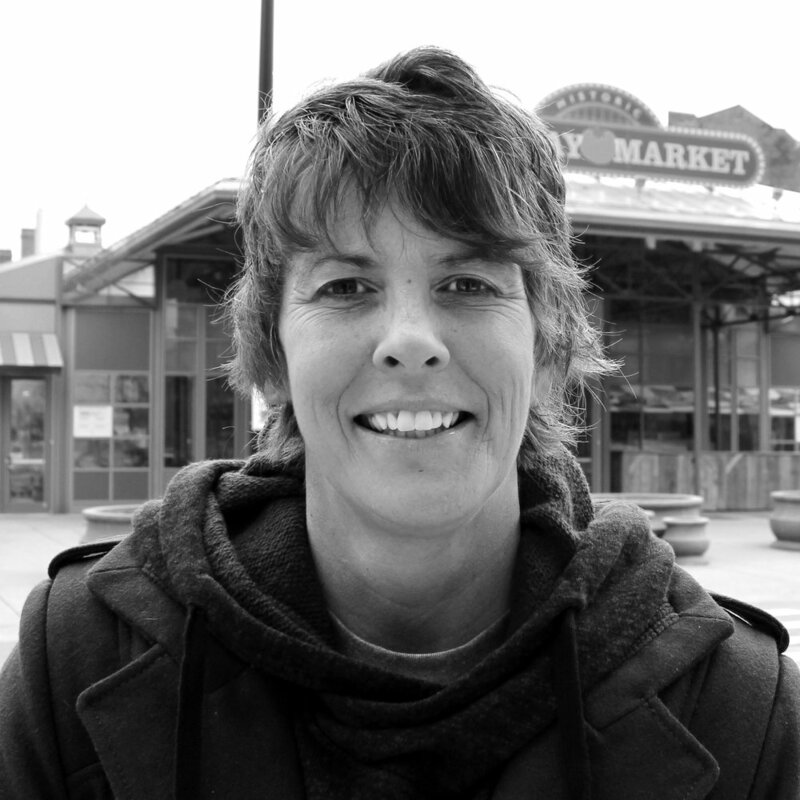 Her idea is to publish and distribute a monthly newspaper for the incarcerated population in Cincinnati (starting with the Hamilton County Justice Center), creating a unique forum for community leaders, public health officials, local law enforcement officials and other agencies to communicate directly with inmates, all while giving inmates a platform to submit questions, story ideas, articles and requests for more detailed information. The goal is to provide valuable resource information that inmates might not otherwise have access to (such as drug treatment and detox facilities, overdose prevention, mental health agencies, housing options, Medicaid, Ohio Benefits Bank, employment info, etc. ), as well as inspirational stories of hope and recovery. “It will make the resource information less intimidating and more accessible, in clear, concise terms, while providing perspective on how, when, and where to seek assistance so returning citizens can use these resources as soon as possible when they need it most—right at release,” says Tracy. Tamia Stinson was born and raised in Cincinnati and attended The Ohio State University for a degree in Business Administration and background in Fashion Merchandising. Tamia returned home following a Fashion Journalism program in the UK, moved downtown and quickly got involved in the community. Tamia helped launch Second Sunday, organized the first pop-up shop in OTR, co-hosted Final Friday events for makers and a number of other local projects (such as her ‘Creative City’ podcast) dedicated to highlighting Cincinnati’s creative community. “I’ve always been passionate about supporting people’s endeavors, but wondered: How can I go from giving support to creating solutions?,” says Tamia. Tamia plans to use her Fellowship year to create online, in-person and printed tools to connect Cincinnati’s growing but disjointed and underutilized community of image makers. Our community of talented photographers, stylists, hair and makeup artists and designers need connections, exposure and work. Tamia will develop new ways for people to share opportunities and information within the creative sectors. Her goal is to connect Cincinnati’s creative talent with those who can hire them. We’re beyond excited to see what this Fellowship year holds for these two women. Stay tuned for updates on their progress, and if you’re interested in meeting Tracy and Tamia, join us at “To Haile and Back,” an event to celebrate and pass the torch from the 2016 Fellows to the new 2017 Fellows.